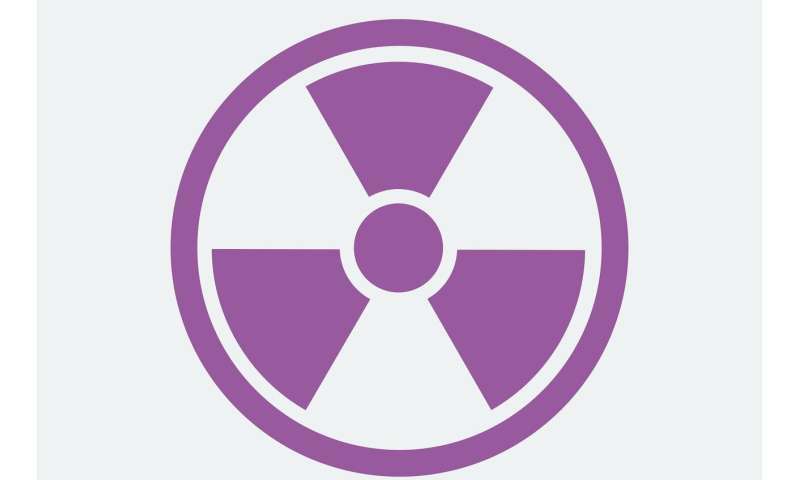 As the radionuclide 235U(VI) is inevitably released into the natural environment, its potential toxicity and irreversibility have made it a major pollution problem in nuclear energy production. A recent study revealed that a rod-like metal-organic framework (MOF-5) nanomaterial was used as a high-efficiency adsorbent for sorption of U(VI), indicating that MOF-5 can be used for rapid and efficient removal of radionuclides. The paper, reported in Science Bulletin, is titled "Synthesis of novel rod-like metal-organic framework (MOF-5) nanomaterial for efficient removal of U(VI): batch experiments and spectroscopy study." The authors synthesized a rod-like metal-organic framework (MOF-5) nanomaterial via solvothermal method, and used it for effective sorption of U(VI) in an aqueous solution. The batch experimental results showed that the dominant interaction mechanism was the inner sphere surface complexation and electrostatic interaction. The maximum sorption capacity of U(VI) on MOF-5 was 237.0 mg/g at pH = 5.0 and T = 298 K, and the sorption equilibrium was reached within five minutes. The thermodynamic parameters indicated that the removal of U(VI) on MOF-5 was a spontaneous and endothermic process. Additionally, the FT-IR and XPS analyses implied that the high sorption capacity of U(VI) on MOF-5 was mainly due to its abundant oxygen-containing functional groups (i.e., C-O and C=O). Metal-organic frameworks (MOFs) are a class of crystalline porous materials consisting of metal nodes (i.e., metal ions or clusters) and organic linkers connected via coordination bonds. MOFs are among the most widely investigated materials of the 21st century, owing to their structural tailorability, controlled porosity, and high crystallinity. Widely used metal ions for the construction of MOFs include Fe(III), Cu(II), Ca(II), Al(III), Mg(II), Zn(II), Cd(II), Co(II), Zr(IV), Ln(III), and Ti(III), which can adopt various coordination geometries, such as trigonal bipyramidal, pyramidal, square, tetrahedral and octahedral. Strategies for preparing MOFs can be divided into two categories: (I) direct non-aqueous or aqueous synthesis and (II) mixed non-aqueous or aqueous synthesis. Widely used synthesis methods include solvothermal, hydrothermal, mechano-chemical, layer-by-layer growth, ultrasonic, electrochemical, microwave and high-throughput synthesis. Since the discovery of MOFs in 1995, they have been applied in the fields of sorption, gas storage, separation, catalysis, sensing and biomedicine. Recently, many kinds of MOF-based materials (e.g. SCU-100 and UiO-66-AO) have been successfully synthesized and shown rapid U(VI) removal (within 10 min) than other contaminants. Until now, about 20 MOF materials have been applied to sequester U(VI). However, few articles have addressed the study of MOF-5 material for U(VI) removal, especially the interaction mechanism. In this study, a solvothermal method was successfully used to synthesize a MOF-5 sample and to remove U(VI) from radioactive wastewater. The morphologies and microstructures of MOF-5 were characterized by SEM, TEM, FT-IR, XRD and XPS. The batch experiments were performed as a function of contact time, U(VI) concentration, temperature, pH and ionic strength. Furthermore, the interaction mechanism between U(VI) and MOF-5 was evaluated from the experimental results and spectroscopy characterization. This paper highlighted the application of MOF-5 as a superior candidate for U(VI) enrichment, which provided a new material for removing radionuclides from aqueous solutions and alleviating the environmental pollution pressure.